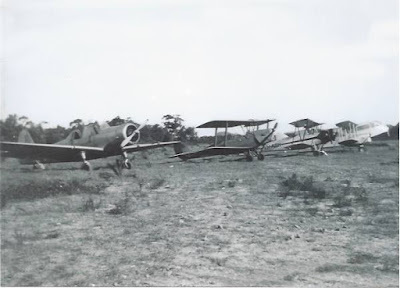 During the early years of the Second World War an aerodrome was constructed on the Woy Woy peninsula by the Australian Army for the RAAF. 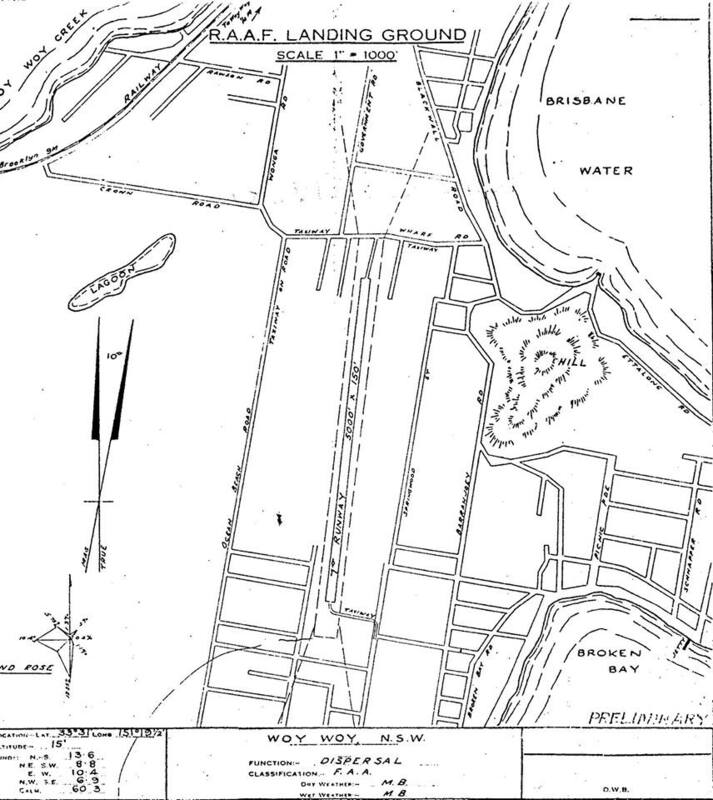 Originally the airfield was designated as a dispersal airfield for the Schofields air base at Quakers Hill in Sydney, in the event of an enemy attack aircraft from this base could be deployed to the Woy Woy strip. The Schofields air base was home to the Royal Navy Fleet Air Arm for the duration of the war, the aircrews and aircraft were from visiting British aircraft carriers that rotated in and out during the war years. 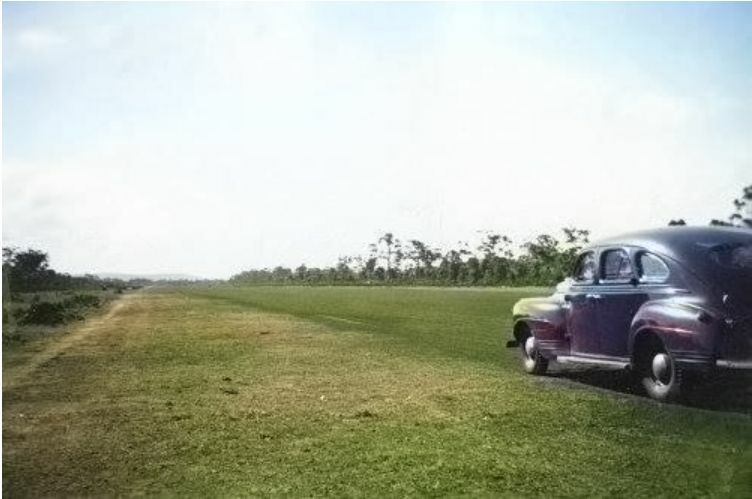 As the threat of invasion diminished at the end of 1942 the airfield was relegated to become an Emergency Landing Ground, part of a network of coastal airfields that ran along the coast. 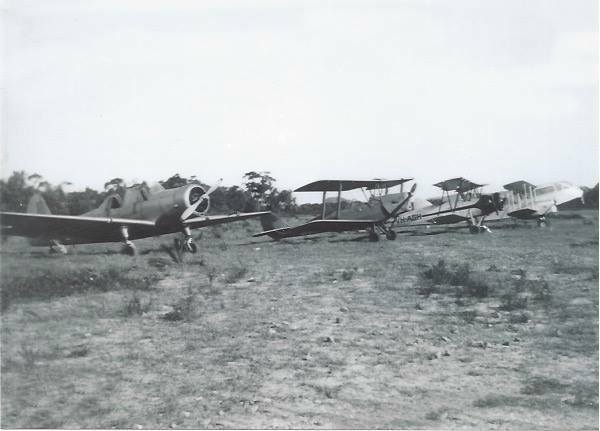 The airfield at Woy Woy was originally designed to accommodate 8 medium sized bombers that were housed in "hideouts" at various locations around the main runway. A typical bush hideout consisted of a U shaped soil wall and suspended camouflage nets above the bays. 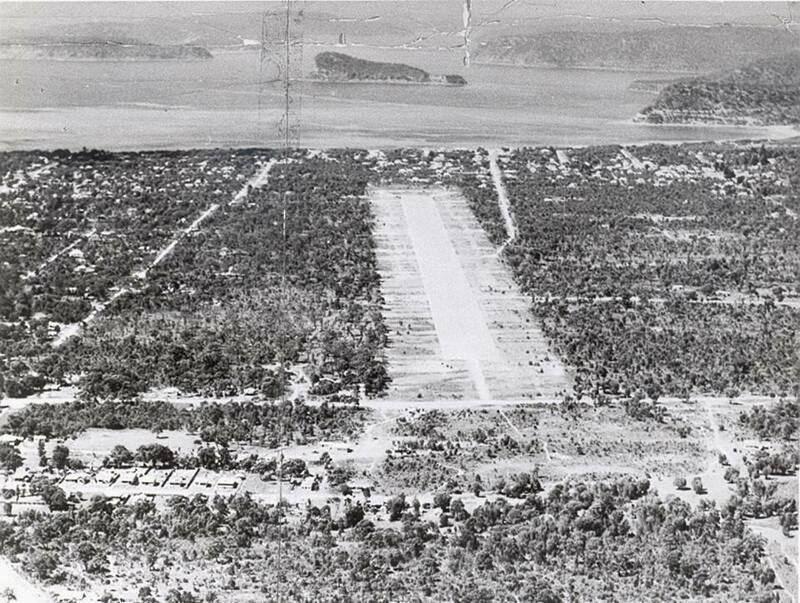 For camouflage purposes the taxiways leading to the runway would utilise existing local streets, some new streets were constructed for this purpose, other roads had the telegraph poles removed to accommodate the wingspan of a large aircraft. 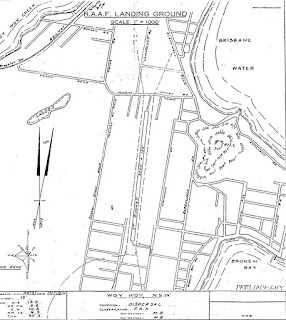 Fuel dumps , anti aircraft positions and slit trenches were also planned for the area, earlier maps show plans for a second intersecting runway crossing the main strip from east to west. 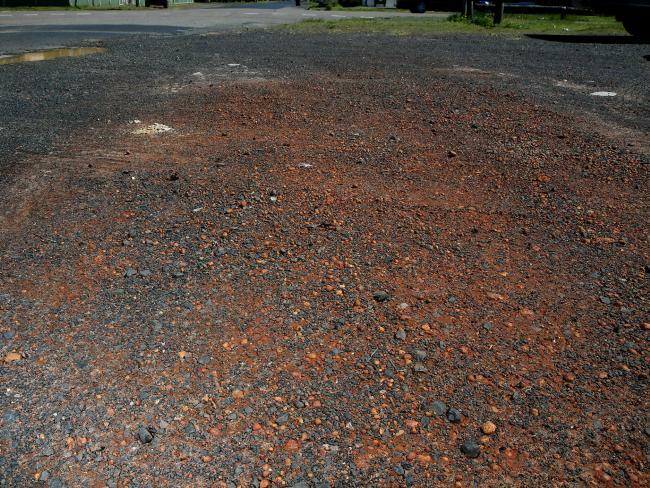 The strip was built in early 1942 by the Australian Army engineers firstly by bulldozing the area then laying down a base of crushed local sandstone , the main landing strip was then topped with a red gravel. Early documents hint that at least 4 of the proposed hideouts had been completed by the time it was inspected by the army camoufluer at the end of 1942, locals have also reported the existence of slit trenches dug in the area of McMasters Avenue at the time. During the war the strip was used by aircraft travelling up and down the eastern seaboard for stop overs refuelling and emergency repairs. Locals recall large Americam bombers regularly landing at Woy Woy which would attract the local ladies much to the delight of the American aircrews , one such crew was so taken by the local hospitality that 3 of the men deserted the aircraft and stayed in town for several weeks at at house in Umina before being rouded up by the military Police, evidently they had sold their uniforms to the locals ! 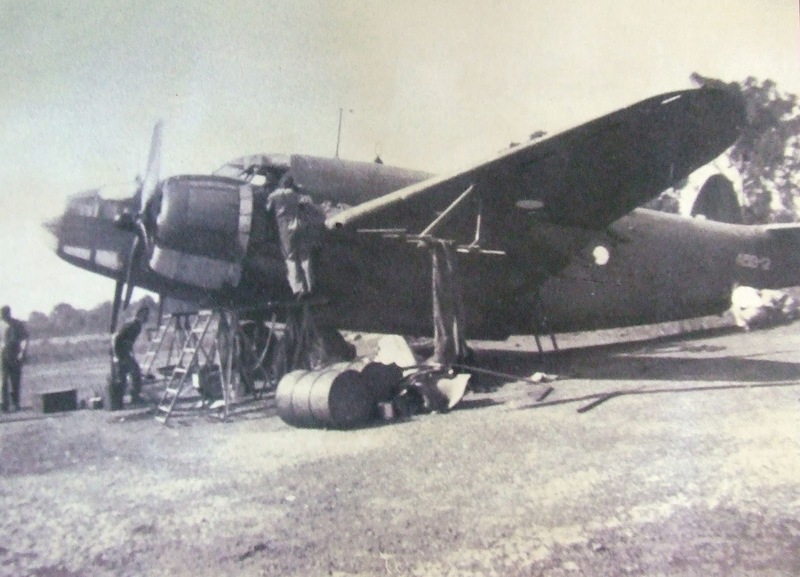 Locals also recall many aircraft stopping fo repairs and there are a series of photos held by the local Ettalong RSL showing an Australian Lockheed Venture meduim bomber configured for submarine hunting undergoing repairs at the strip in 1943. Interesting to note that there have been 2 large radial type aircraft engines dug up in the area over the years that may have been from these aircraft, it was army practice to bury such items after they had been removed and replaced with new parts. 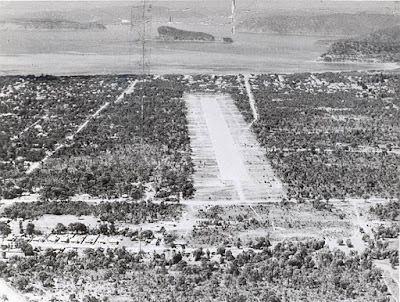 After the war the runway was used by the locals for a variety of purposes, there were horse races and an annual motorbike race, many locals also used the strip to learn to drive on. Aircraft also continued to use the strip, some local real estate agents would fly up prospective customers from Sydney and in the 50's Marshall Airways from Bankstown would also bring up aircraft on the weekends for tourist joy flights. 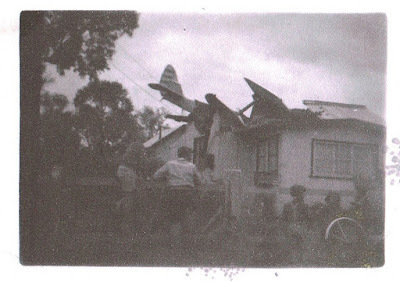 As the area became more populated there were more houses and the landing of aircraft started to become hazardous, in 1950 a Tiger Moth biplane was trying to land in heavy crosswinds and was blown onto the roof of a house in Nelson St, the pilot and occupants of the house (who were not home) were unharmed , the pilot did injure himself when he fell of the roof of the house unfortunately. Co-incidently at that precise moment a delegation from Gosford had arrived by boat at Woy Woy Shire Council chambers to petition the council to retain the runway for public use. The blocks were a curse and a bonus for buyers as they were well drained and level but near impossible to dig into for they were still topped with the red gravel and sandstone base. Locals recall the remains of a medium sized passnger plane that had been stripped down to the fuselage that lay in the bush blocks near Australia Ave until the early 60's, some have identified it as an aircraft similar to a DC 2, there is no knowledge of the fate of this plane. Locals also remember as children in 60's the existance of a large military type aluminium drop tank (disposable fuel tank) that had been split into its 2 halves and used by kids to paddle about in the Everglades lagoons, this may have been a left over relic from the airfield. 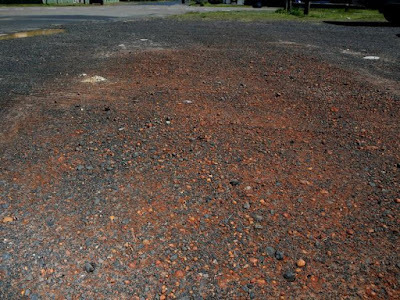 Little remains of the airfield today as housing has now fully covered the strip, small park at Trafalgar Avenue between Alma Ave and Waterloo Avenue is basically the original runway surface, skirting the edge of the car park are remnants of the red gravel that can still be seen today. I found your site by accident while researching the Ourimbah Pilgrimage of Pop concert. As I spent my younger years (every Christmas) at Woy Woy and Davistown I am loving this info.